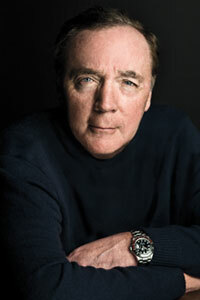 James Patterson, best-selling author of adult novels featuring psychologist and crime-solver Alex Cross, as well as humorous books for young readers, has donated $2,500 to Alta Vista Elementary School’s media center, the Sarasota County School District has announced. In addition, Scholastic Reading Club, in partnership with Patterson, has matched each dollar of his donation with “bonus points,” a news release notes. “The points can be used by Jeri Bunnell, the third-grade teacher who applied for the grant, to acquire books and other materials for her classroom,” the release says. Alta Vista was one of several schools selected for grants from almost 28,000 applicants, the release adds. To apply for the funding, Bunnell was asked how the school would use the money, the release continues. “She answered that the grant would enable Alta Vista students ‘to see the world through books,’” the release says. As part of an ongoing effort to keep books and reading a No. 1 priority in the U.S., Patterson and Scholastic Reading Club “made a commitment to help support school libraries nationwide,” the release explains. In 2015, Patterson donated $1.75 million to 467 schools across the country to assist with libray materials. The funding was in the form of grants ranging from $1,000 to $10,000, the release points out. Any U.S. school with students from pre-kindergarten to 12th grade was eligible for a grant, the release notes. The full list of recipients is available online at www.scholastic.com/pattersonpartnership. Patterson says he hopes the high volume of requests will raise awareness of the “problems facing school libraries today,” the release adds. “These grants are my humble acknowledgement of some of the terrific work taking place in libraries,” he adds in a statement on the Scholastic website. Alta Vista Elementary School is located at 1050 S. Euclid Ave. in Sarasota.